There are so many exciting upcoming releases in May of this year, and I just wanted to talk about a few of them! I want to start doing more non-review related posts because I don’t want my blog to be as structured as it has been for awhile. This book sounds like such an interesting paranormal book! 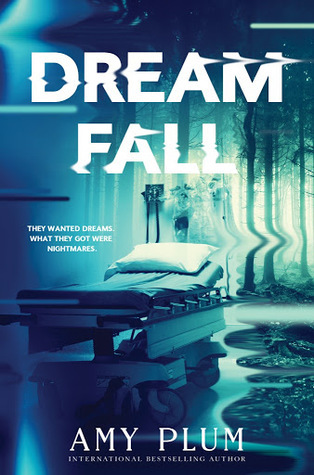 I love books that slip into the dream world, and think this would be an interesting option because it’s about a group of people getting tested on, but still is in a paranormal feeling world. I think this would be fun to read, especially because it is the first in a new series. I would love to start some brand new series because I only ever read older series, and get stuck behind on everything…. 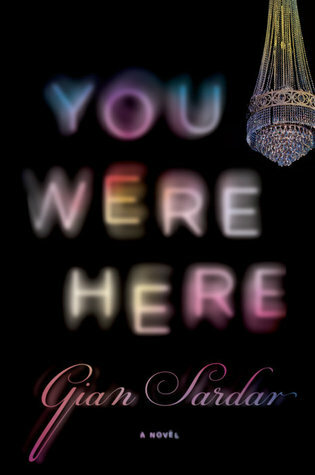 Anyway, I hope to give this book a try when it comes out. I have been getting more interested in mysteries lately, and I hope to read more this year. I am currently reading The Woman in Cabin 10, and am really enjoying it thus far. I think mysteries are a great way to add some suspense to your life. It’s always good to get a little freaked out sometimes. I think this book sounds interesting because it’s about a woman going back to her hometown and finding a high school crush, but then something goes wrong. There will obviously be some romance, but I feel like it will mainly focus on the mystery/thriller aspect of the story. I haven’t read very many books about people from Mexico, and I believe that this would be an interesting read because it would be so different for me. I think the premise of this book sounds quite interesting because it’s about leaving something scary and bad, and coming to try and make a new life. I think that this book will actually be twisted and creepy in a way. Just in the synopsis it talks about the main character killing some people then moving away to try and make a better life for himself. I don’t know, it sounds interesting because it’s unlike what I normally read. I hope these were some decent recommendations from a reader who hasn’t read them yet… I think these books will be interesting, and I hope I get to them this year, or at least buy one or two of them. 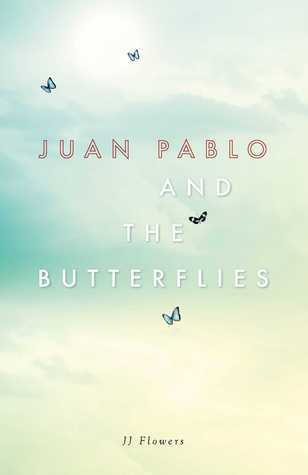 I think the one I’m most excited for is Juan Pablo and the Butterflies. I think reading diversely is important, and for me this would be a diverse read. Best of luck in your endeavors for finding new releases in May! 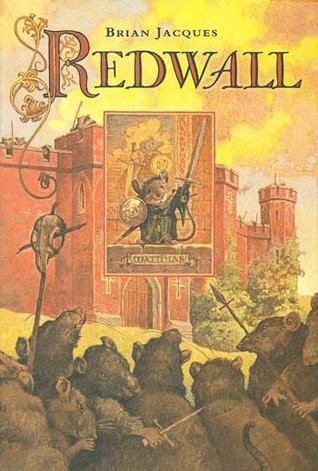 Redwall Abbey, tranquil home to a community of peace-loving mice is threatened by Cluny the Scourge – the evil-one-eyed rat warlord – and his battle-hardened horde of predators. Cluny is certain that Redwall will fall easily to his fearsome army but he hasn’t bargained for the courage and strength of the combined forces of the Redwall mice and their loyal woodland friends. . . . . This book was soooooooooooooooooooooo slow it was painful to read. I liked the premise of the book and Matthias as a character was fun to read about. Other than Matthias as a character, there weren’t may redeeming qualities for this book. The only reason I picked up this book was because I went to a local Little Free Library and found two books of this series. I was intrigued because it was a young adult fantasy series, and fantasy is one of my favorite genres, so naturally I decided to pick them up. I later found out that they were book numbers nine and eleven, so…. I picked up the first book from the library and it was so slow. This book followed Matthias and his adventures to obtain the great sword of Martin. This was all that happened and I struggled to get through it. I don’t understand how this book has an average rating of 4.1 on Goodreads. IT WAS SO BORING. I honestly don’t have anything else to say about this. I will not be continuing on with this series. Also, 22 books in this series. No way is that even possible for me to read that much about small woodland creatures who don’t fight but end up killing the bad guys. Celaena Sardothien, the coolest sassiest assassin you will ever meet. 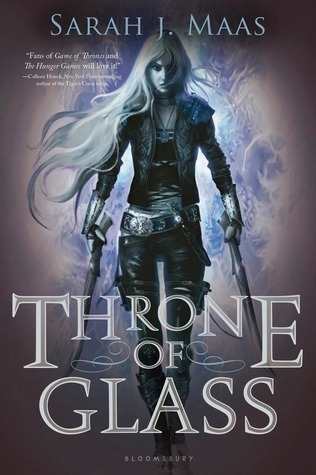 Throne of Glass stars out with talking about Celaena and her imprisonment in Endovier, the worst death camp. It goes through why she was sent to Endovier, and you find out that she is an 18 year old assassin who is being chosen to participate in the competition to be the King’s Champion. The Crown Prince, Dorian, chooses her to be his Champion in the competition, and brings her to train at the castle with the other Champions. You guys. This book. It. Was. So. Amazing. I. Can’t. Even. Explain. So a lot goes down in this book and it’s hard to talk about it without spoiling anything, but Sarah J. Maas is one of my new favorite authors for sure. The way this book is written is so fast-paced, easy to understand but is actually a quite complex world, and so unbelievably well written. It’s been awhile since I’ve read a book and enjoyed every single part of it, but holy hot dang this book is so fricking good. I didn’t want to give into the hype surrounding this series because I didn’t want to be disappointed, but I’m so glad I read it. I may or may not have already ordered books 2, 3, and 4… Anyway. I can’t wait to see where the rest of this series goes. The magic in this book is super edgy and cool to read about, too. I like that it’s banned, but not completely gone. I cannot wait to see where the rest of this series goes. I’m surprised I’ve dodged all of the spoilers up until now. It’s kind of hard to believe considering I’ve heard so many people rave about this book. PLEASE READ THIS BOOK! The fantasy aspects aren’t super difficult to pick up, so if you’re new to fantasy, try this one out. Everyone needs to read this. It’s so good it hurts me physically. Huge thank you to Iain Reading for sending me a copy of this book and for the sweet message on the Amazon gift note! Kitty Hawk, pilot of a seaplane, embarks on her journey around the world by first stopping in the Florida Keys. She flies down from Canada for her first leg of the trip, and finds herself on an island called Dry Tortugas in the Keys. She takes her plane there and sees a large building made of brick, a campsite, and the beautiful coral reef under the water. 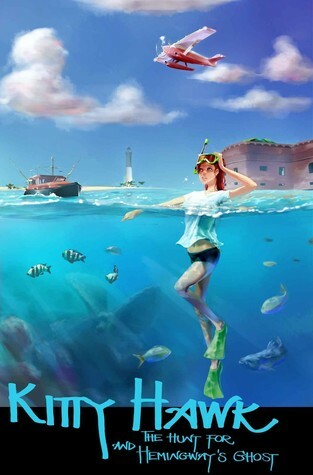 This book involves adventuring, sleuthing, snorkeling, and scary barracudas. I enjoyed this book because, like the first, there is adventure. This book had some Nancy Drew vibes which made my heart very happy as I will always love Miss Drew and her detective work. I flew through this book, and enjoyed it so much more than the first one. I loved that Kitty was on her own because it just showed the women can be independent. I think this set a good example for younger readers. One of my favorite parts of this book was right at the beginning when she went to the Ernest Hemingway museum and was talking to James, the tour guide. It was nice seeing Kitty as a normal teenage girl. She was flirting with him, but she’s kind of awkward, but it was great. I love that she bought quite a few of Hemingway’s books. As a book lover myself, I love reading stories about people who also love books. Although I haven’t picked up any of the famous Hemingway works, I hope to now! Overall I really enjoyed this book and can’t wait to read the rest of the series! Huge thank you to Iain, again!